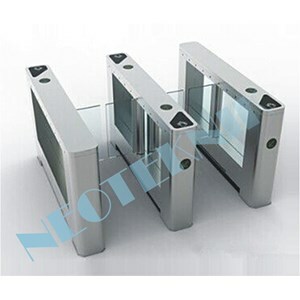 As time advance and the technology development, the tripod turnstile have more and more wide range application, such as the commercail building, top grade residence aera, subway station and so on. 2. Many options of working ways: Bidirection card reading; One direction card reading and another no reading. 4. 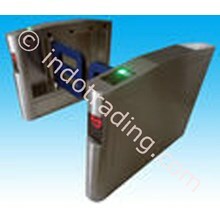 If passenger pass without card read or valid card read, flap barrier will alarm untill passenger get back. 5. When valid card read and passenger passed, arm can be delayed to close from 1-60s which can be set in the control panel. 7. Double anti-clipping function: Photocell anti-clipping and mechanical anti clipping. 8. Swing barrier is with standard electrical interface for the integration of various readers and writers. 9. 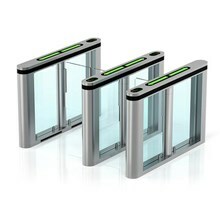 Swing barrier can count how many passenger has passed and will show it in the LED display. 10. Direction display to guide passenger which direction is to go. 11. Card-reading with memory or without memory function. 12. 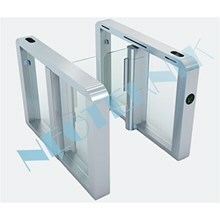 Swing barrier can control the population inside in the control of software. 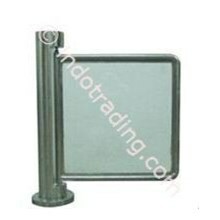 Pedestrian Swing Barrier NT3084 ! IndoTrading.com adalah media iklan khusus Perusahaan, Toko, Distributor, Grosir, Agen, Supplier, Importir, Exportir, Trading dan Pabrik. 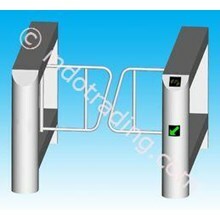 Jika Anda tertarik untuk membeli Pedestrian Swing Barrier NT3084 ini dengan harga murah, Mohon hubungi Kontak Perusahaan ini diatas.